Bark Scorpions – fun with light! 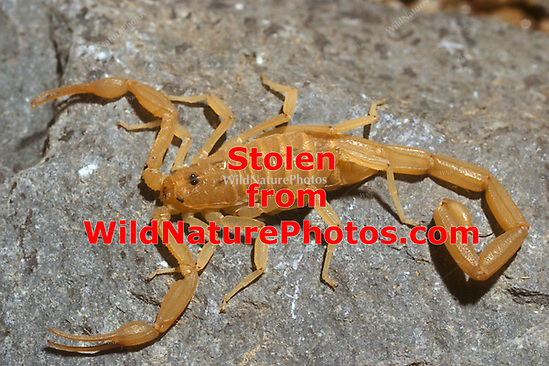 We love scorpions – especially Centruroides exilicauda – the Bark Scorpion. 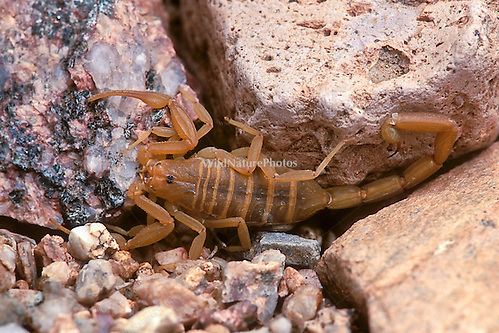 Bark Scorpions are the only medically important scorpions in the United States. They give a wickedly painful sting that can last for 24 – 48 hours. For kids under two years of age, the sting is potentially fatal. Fortunately, there is a new antivenom called Anascorp that can be used for severe envenomations. 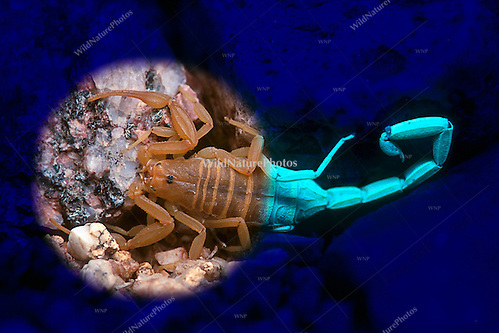 For reasons unknown, all scorpions produce a substance in their exoskeleton that fluoresces under ultraviolet light (commonly known as “black light”). The exceptions are newly molted scorpions and babies. 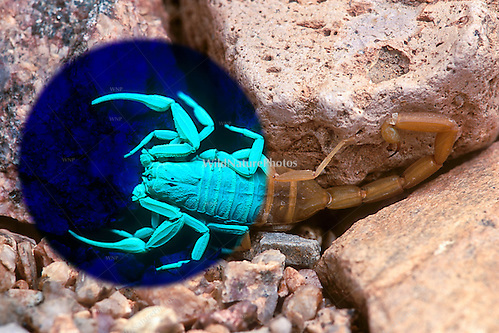 This UV fluorescence makes it easy to spot scorpions at night with a portable black light. 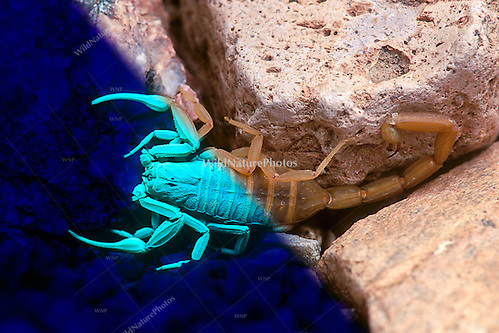 Of course, it’s hard to see the fluorescence of scorpions during daylight – daylight is just too bright. 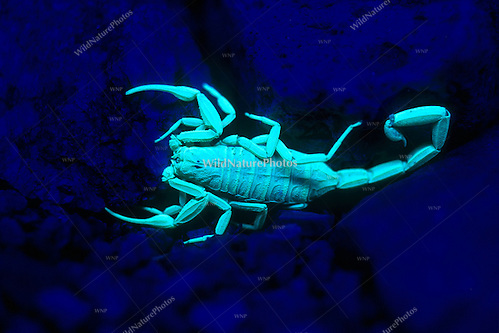 I’ve always wanted a UV flashlight that could “shoot” darkness, too… to knock out the ambient light so that you could see the scorps just as if it were dark, like this. Then again, it would be cool to be able to have a “daylight flashlight” to shine when these guys are under black light at night… to see what everything “really” looks like. Or from darkness back out into the light! but ultraviolet (UV) light is just way cool – you can see details that don’t show up in daylight. 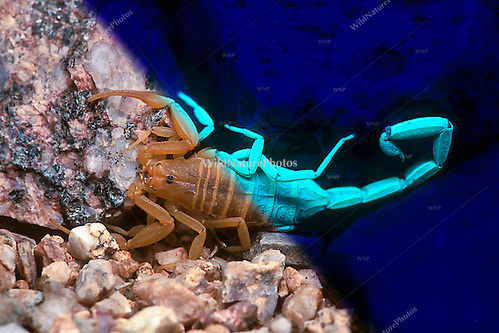 Anyway you look at them, Bark Scorpions are simply fascinating!